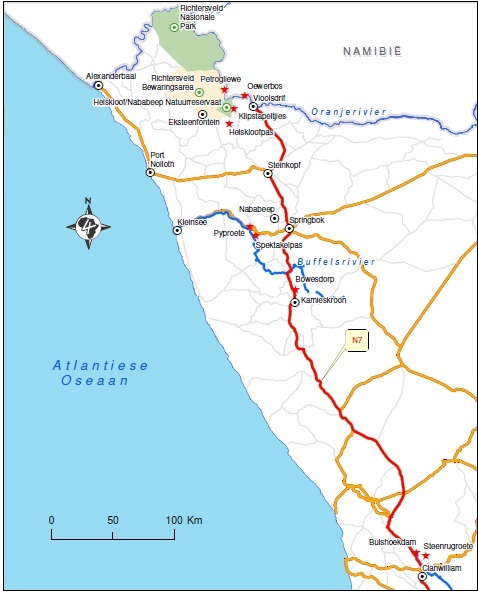 The treaty signed on August 1, 2003, made the Ai-Ais/Richtersveld Transfrontier Park possible, as it is known today. Settled in the Northern Cape and southern Namibia, managed by South African National Parks (SANParks) and Namibia's native Nama people, visitors can experience Namibia's harsh extreme elements for themselves, visit the |Ai-|Ais Hot Springs and see the legendary Fish River Canyon. The temperatures in this area can be very hot in summer. 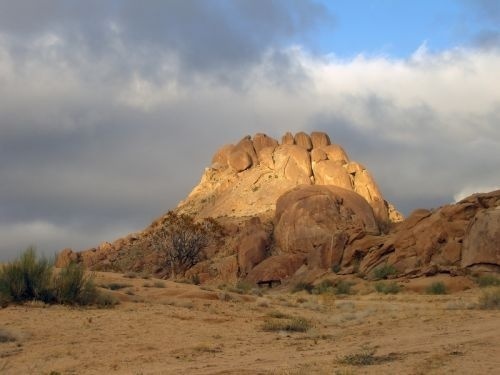 Because of the rugged terrain, only 4x4 vehicles can be used to travel in this Park. Travel is slow, with long hours and there are no emergency services making winter the best time to visit this area. 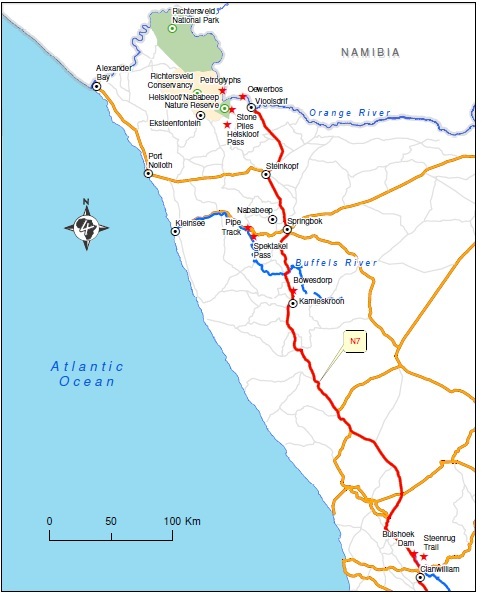 This is a part of the Wild Flower Route, and is only seasonal. A conservation fee is payable when entering the park. Campsites all have ablutions, Kokerboomkloof has ablutions but no water. Fuel is sold at a small general store at Sendelingsdrift. The shop is open on weekdays only. Fuel fill up times: Mon-Fri: 07:30-18:00; Sat: 08:00-16:00; Sun: 08:30-13:00. No cell phone reception inside the park. Travel with satellite phone if outside contact is required. 4x4 essential for the park. Travelling inside the park is all on 4x4 trails, the going is slow. Roads are badly corrugated, deflate tyres to around 1.6bar. Lots of rocky intersections in the park, be careful not to cut deflated tyres on rocks. Second spare wheel may be prudent. No shops in the park, but fuel and cold drinks can be purchased at a small general store at Sendelingsdrift. The shop is open on weekdays only. The pont at Sendelingsdrift is working for a quick transfer to the Namibian side of the park. No drinking water at campsites, take 4litres drinking water per person per day. Take hat, sunscreen. Note that heavy due sometimes occurs at night. Bring warm clothing.